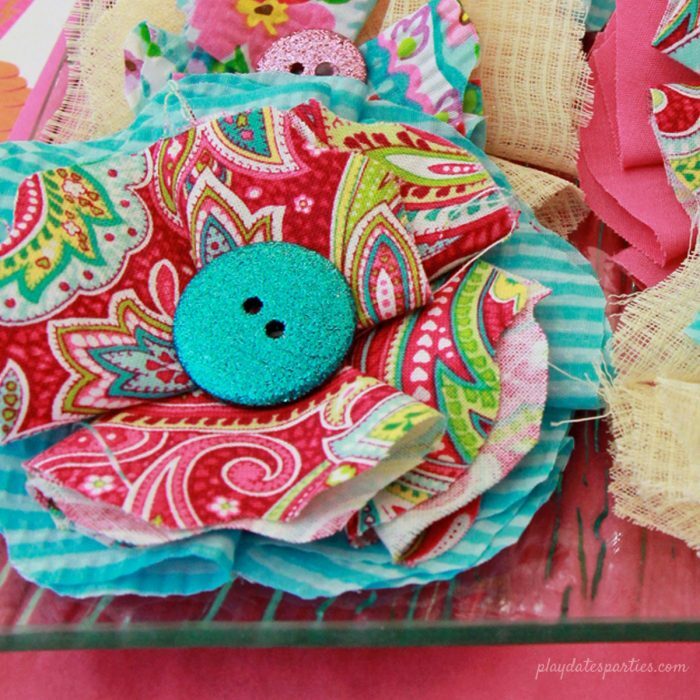 Learn how to make fabric flowers clips that can be used for anything from party decorating activities to hair clips and more! 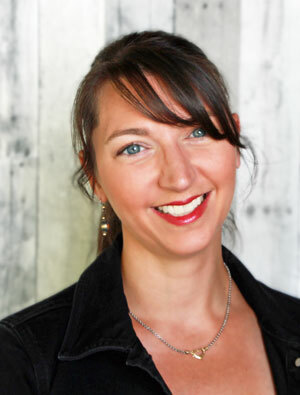 You’re standing at the front door greeting a guest for your child’s birthday party. The main activity hasn’t started yet, so what do you do with the kids in the meantime? 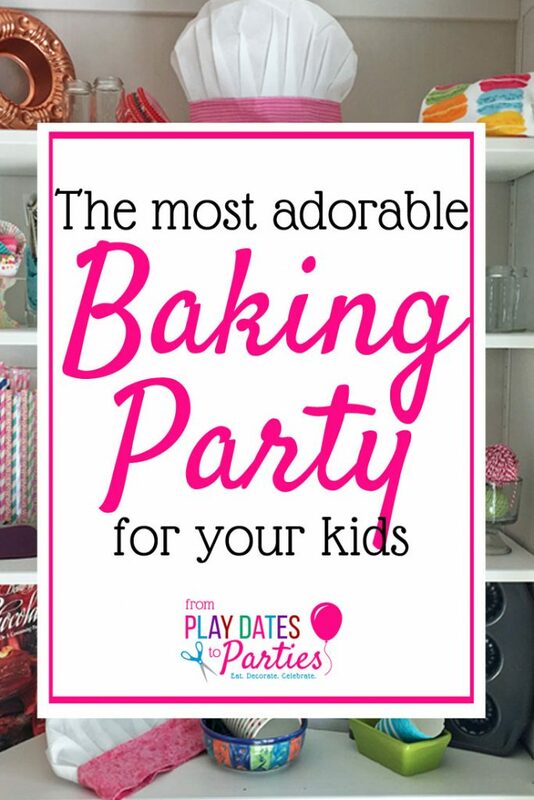 That was the dilemma I was facing one planning my daughter’s baking party for her seventh birthday. I didn’t necessarily want the first-comers to get started decorating their cupcakes right away, because that would significantly reduce the amount of time that they would get to spend doing the activity together. And I also wanted to avoid letting the first kids use up the most popular frosting and sprinkles colors. So I had to figure out an activity for the kids as they waited for everyone to arrive. Decorating aprons was the perfect choice! And what better way to decorate aprons and chefs hats than with fabric flowers clips from the leftover fabric scraps? Opening party activities need to be super simple and nearly hands off. Remember, that’s the time you’re welcoming guests, taking presents, going over details with drop-off parents, and offering refreshments to the parents that are staying. Fabric flowers were laid out on the table, ready to be used by all the kids. They had easy and immediate access to all of them. Every flower was already glued onto an alligator clip. That means the girls could choose to add them to the apron’s waistband, the band of the chef’s hat, their hair, or anywhere else a clip will fit. LOTS of fabric flowers. There were about 50 flowers in all. That way the kids could decorate with as much abundance as they liked! I decided to make fabric flowers clips in four different styles so the kids would have plenty of variety. 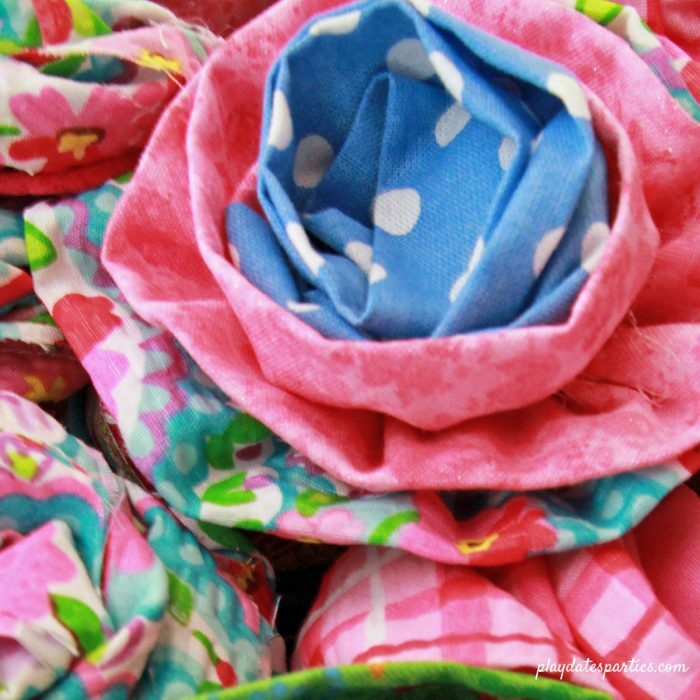 These are the easiest fabric flowers you can make. Seriously. All you have to do is cut your fabric into circles of different sizes and then layer the fabric in a way that looks pretty. Put a dab of hot glue in the center of each layer, top it off with a pretty button or rhinestone and you’re done! Quick tip: Add in at least one fabric that has a rough texture or frays. It will add instant dimension to your flowers. No kidding, these flowers are a bit of a pain. You can’t get away from the sewing, they take quite a bit of time, and I was never quite able to make mine look like the original tutorial from Cluck Cluck Sew. But isn’t the end result still totally adorable? Between the multitude of fabric patterns, the rows and rows of layers, and the ruffly texture, they are still just so much fun. 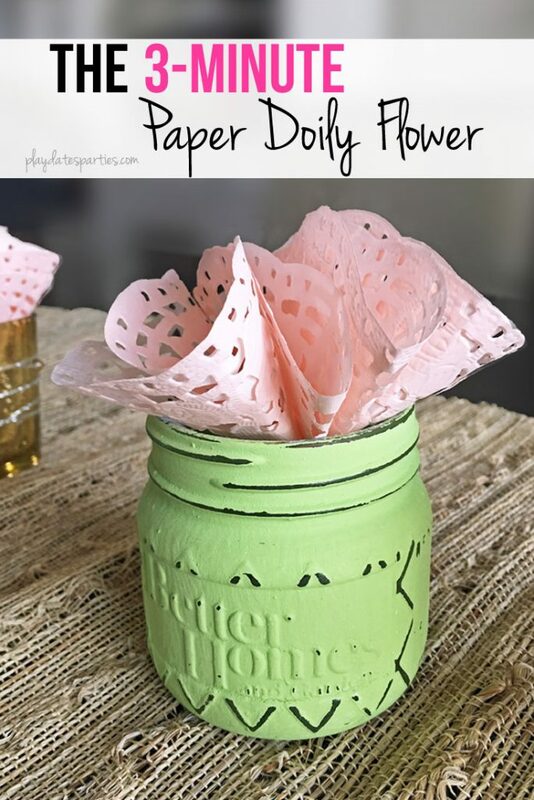 Quick tip: Make sure you have a sturdy fabric to glue onto the back of the flower. It will make all the difference in holding the flower together. 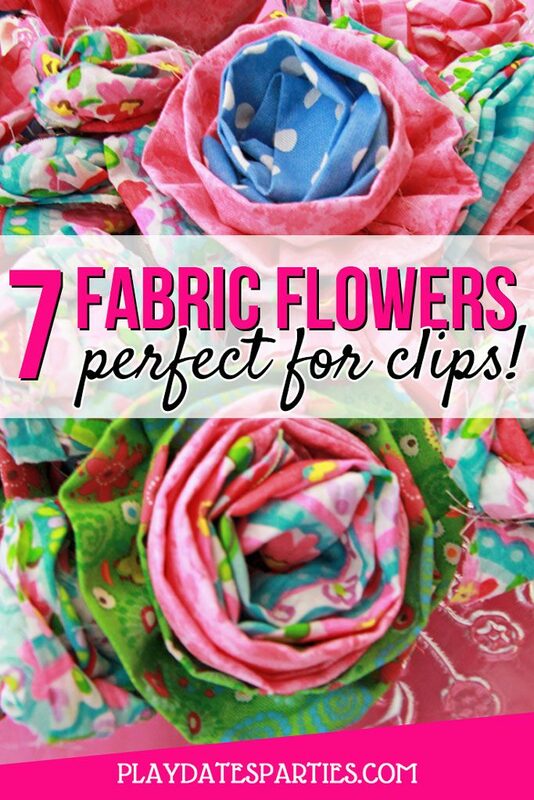 This style of fabric flower has been circling the internet for the better part of a decade. And there’s a good reason for it: they hold together beautifully, and look fantastic! Made My the Mamamonster has a great tutorial that explains all the steps in detail. Quick Tip: You’ll want to use a cool glue gun for this one. As you twist and hold the rosette, it’s easy to accidentally get hot glue all over your fingers. I’m not even sure what I should necessarily call these flowers. BUT, they are ridiculously simple, and hard to get wrong. The best part is that they have just the right amount of fluff to add dimension without having to worry about too many hot glue gun burns or breaking out the sewing machine. 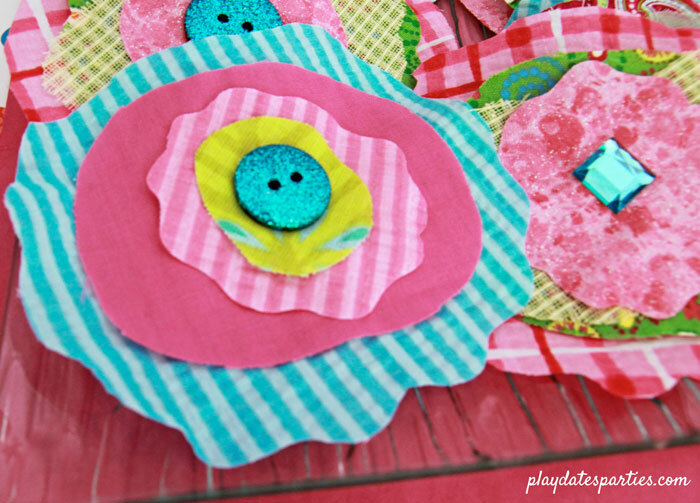 The House of Smiths wrote a fun tutorial for how to make this style of fabric flowers. You also just have to see what she used for the centers of her flowers (totally outside the box thinking there!). 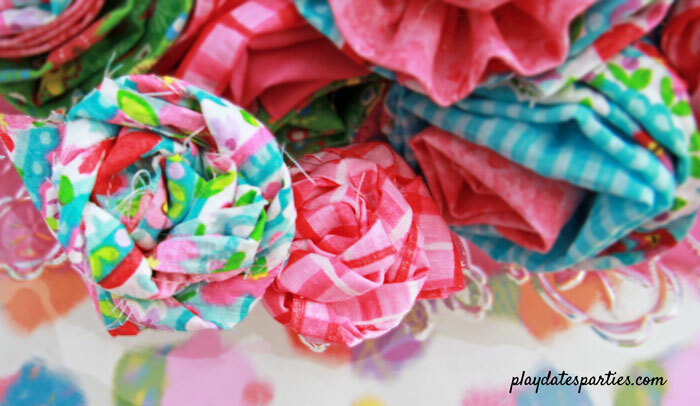 Fabric flowers are a great way to use up scrap fabric, and make something totally unique. Plus, they were super easy for the kids to use when decorating their aprons at our Baking-Themed party. You can’t go wrong! Which of these flowers is your favorite? How would you incorporate fabric flowers into your next party? I’ve made a few of these fun flowers. Very cute!! Thanks for sharing with SYC.